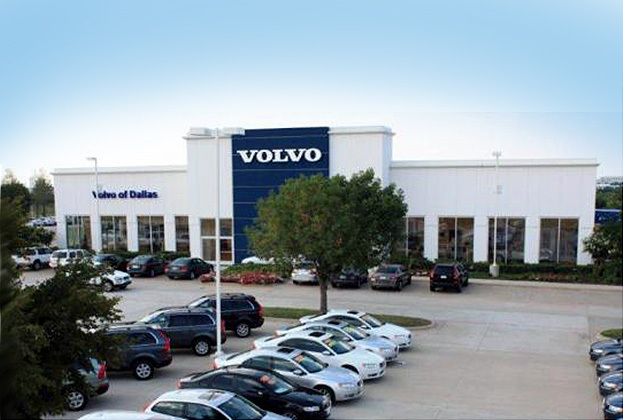 A seven level dealership for a total building area of 174,530 SF including parking for 268 spaces. The main building is 81,400 SF, a bodyshop building 39,270 SF, and a make-ready building 9,000 SF. A pre-engineered metal building was used for the bodyshop and make-ready building. A 57,745 SF car dealership. Showroom with mezzanine and a make-ready building. The structural system will be load-bearing concrete panels with a bar-joist roof for the make-ready and shop areas, and steel frame as required for the showroom. An additional 8,000 SF Quick Lube. 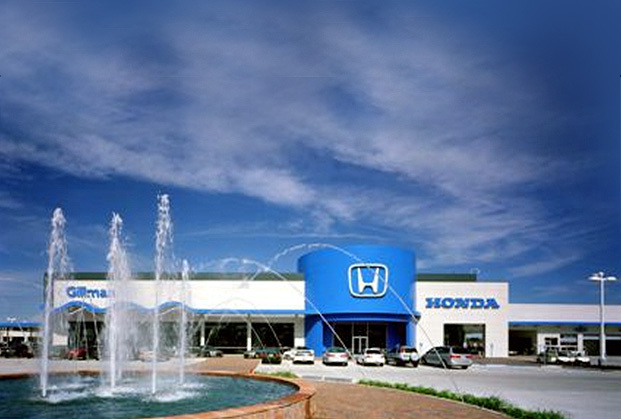 Honda building is a 135,760 SF steel-frame and a tilt-up concrete structure with a partial second story. Mitsubishi building is a 35,130 SF steel-frame and tilt-up concrete structure with a partial second story. Subaru building is an 11,620SF steel-frame and tilt-up concrete structure with a partial second story. Body Shop building is a 36,250 SF tilt-up concrete structure with a light-steel frame. A 41,168 SF auto dealership. Concrete tilt-up panels (load beading) with steel bar joist roof construction. 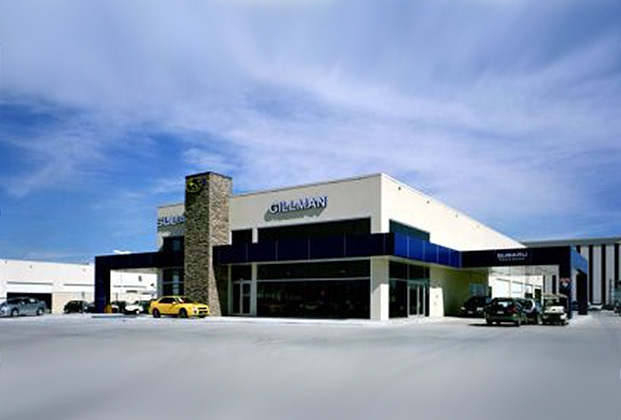 A 39,456 SF dealership showroom and service shop which includes a 4,315 SF parts mezzanine. Steel frame with tilt-up panels and steel joist construction. 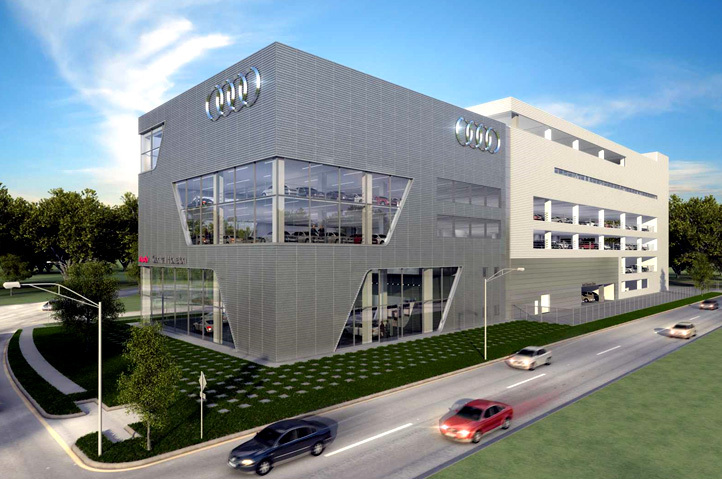 A 27,500 SF Audi Dealership. Steel frame with steel bar joist roof and metal stud exterior walls construction. 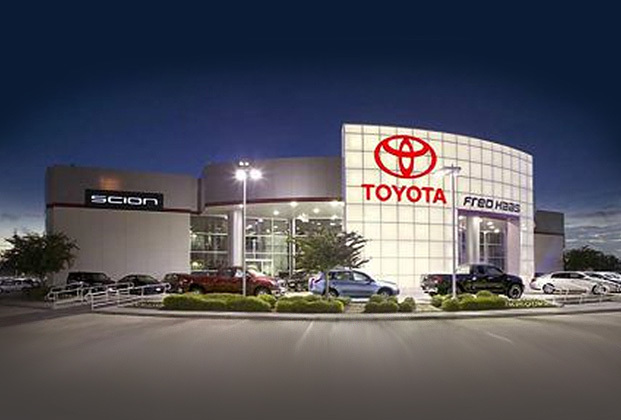 A two-story automobile dealership. Concrete tilt wall with bar joist construction. An 88,000 SF two story parking structure. 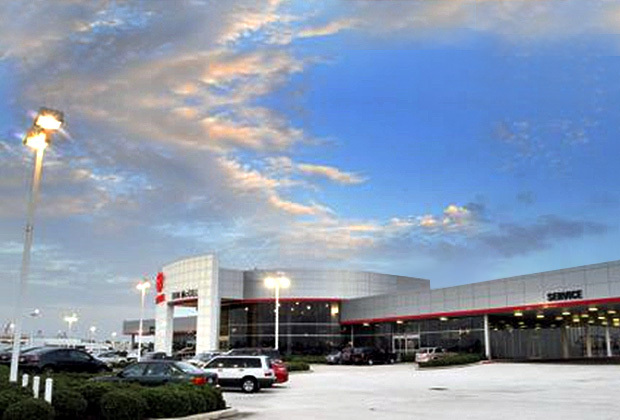 A 30,000 SF dealership with 1,200 SF mezzanine.